Here's a nice little Christmas present! 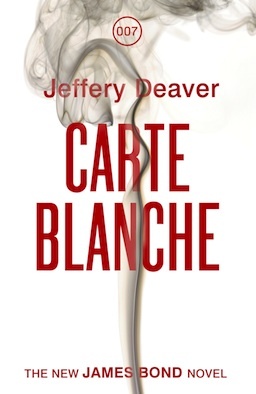 The good folks at MSE Books in the UK (a great source for special editions and hard to find titles) have alerted me to an all-new special edition of Jeffery Deaver's Carte Blanche coming our way on December 20. Known as the "Red Edition", it will be a hardcover bound in red leather with head and tail bands and a ribbion bookmarker. Limited to just 500 copies, it will have a bullet embedded into the pages which will contain the limitation number (now that's pretty cool). The price is £100 and it is available for pre-order on Amazon.co.uk. Unfortunately, there are no photos available yet, but I'm hoping to get some soon. UPDATE: Photo revealed! Very nice. This appears to be another version of the Bentley Special Edition in red, and at a much more affordable price. UPDATE 2: I've just received word that this edition is NOT signed as I originally reported. Sorry about that. Oh man! Now I feel even more burnt on that original limited edition that turned out to be nothing more than the regular first stuck in a flimsy cardboard box. THIS sounds like what I wanted... but I don't think I can afford it this time of year. I'm in exactly the same boat, Tanner. :( And, yeah, I also feel burnt by the Waterstones special. It seems that, as the books are progressively bad, the special editions get progressively better. Why do they do that to us???? Why do they throw a special edition on the market now, half a year after the release? Isn't Carte Blanche pretty old hat by now? I'd have thought everybody remotely interested in the various special editions - and some seem to have been nothing but a swizzle - would already be equipped by now, seems a bit late for the party. Just wat we need another edition of a soso book. What a waste. I too feel the same as above. I am kind of burnt out on all this special limited edition scams. Especially as I too thought the book was very average. Fleming, Amis, Gardner and Benson never had these multiple editions and some of their books are worth a fortune. You can't get rid of the Higson specials for love or money. I will resist. Just received an e-mail from Amazon saying "We regret to inform you that your order will take longer to fulfill than originally estimated. Our supplier has notified us that there is a delay... We are awaiting a revised estimate from our supplier, and will email you as soon as we receive this information."